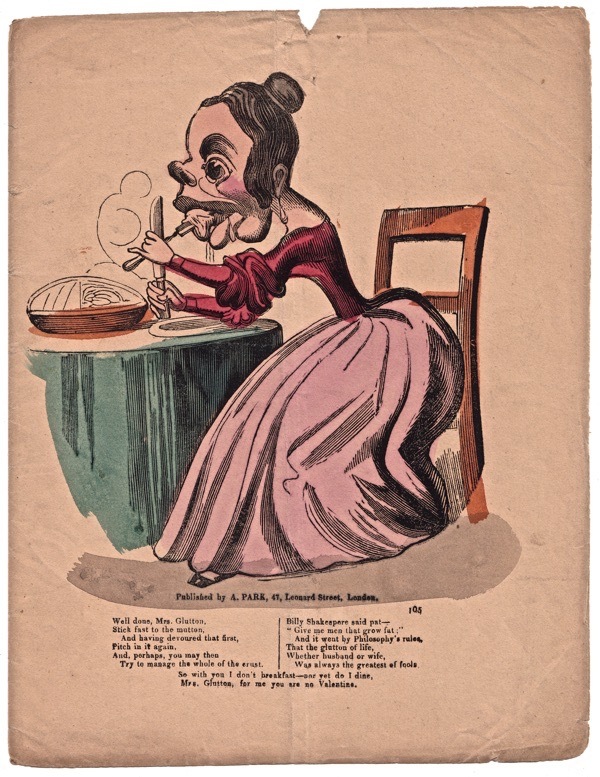 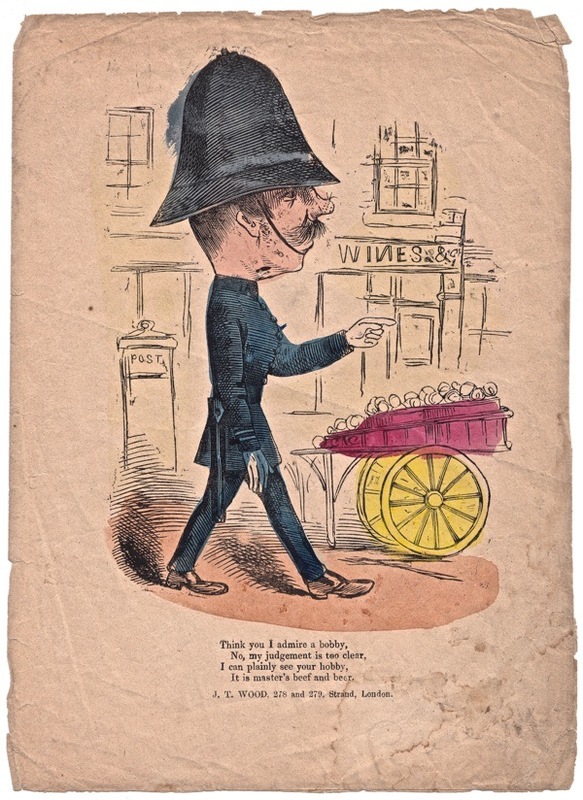 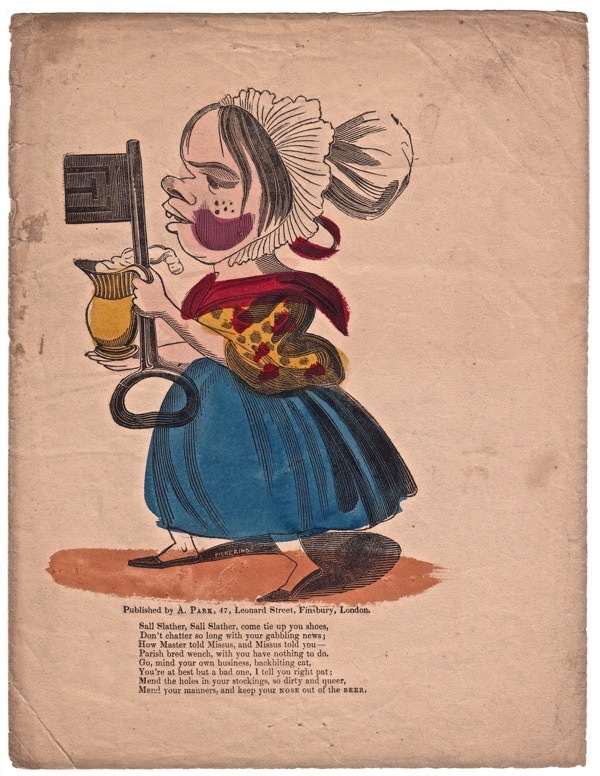 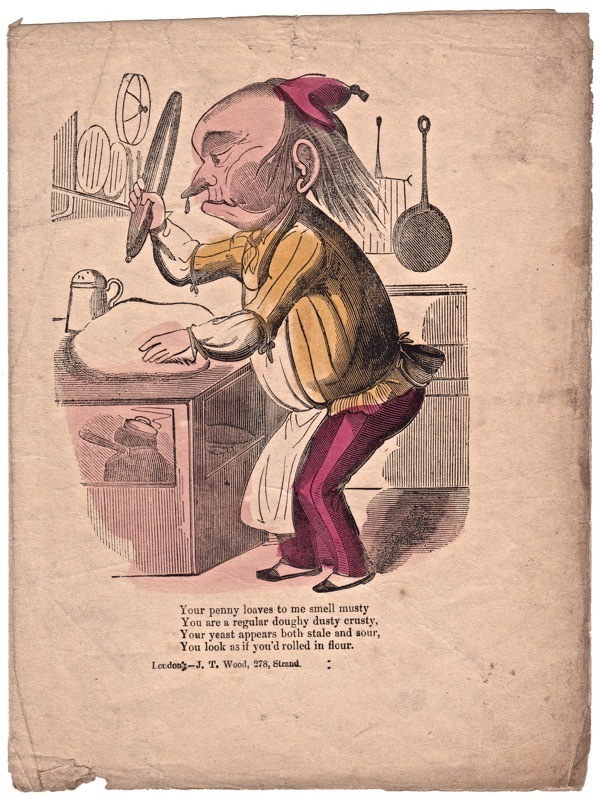 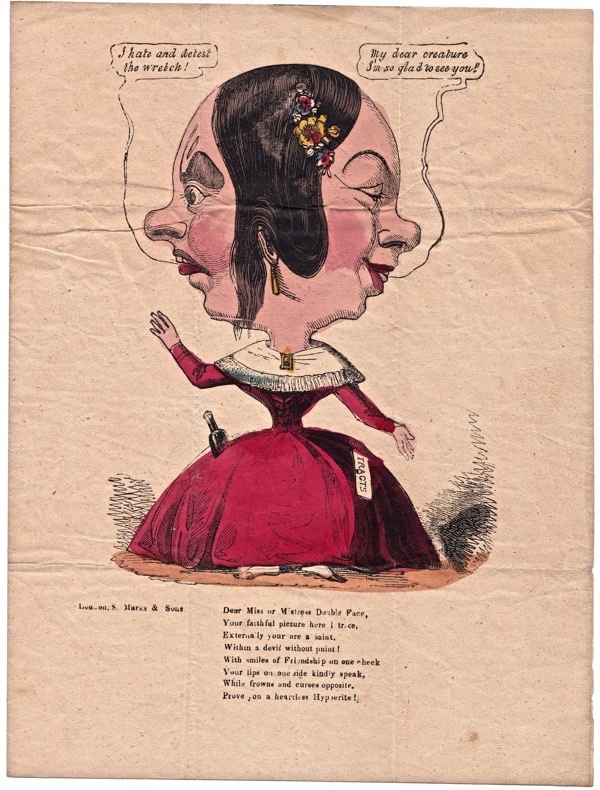 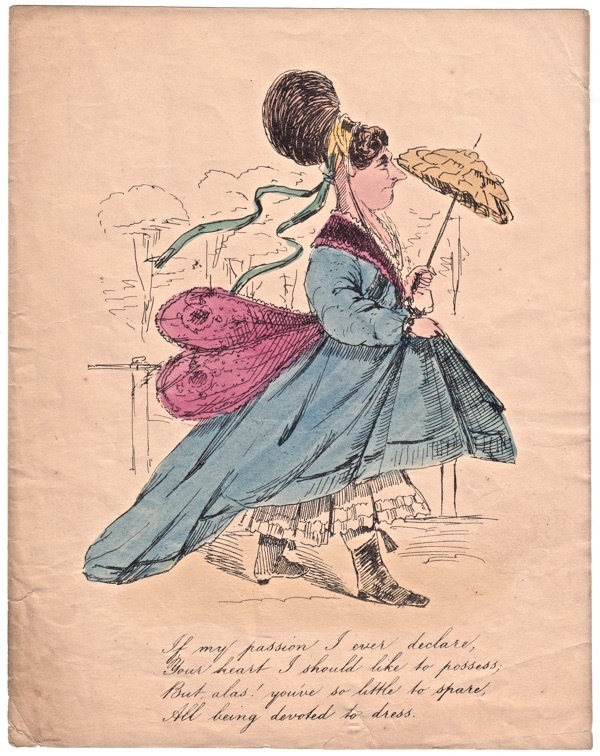 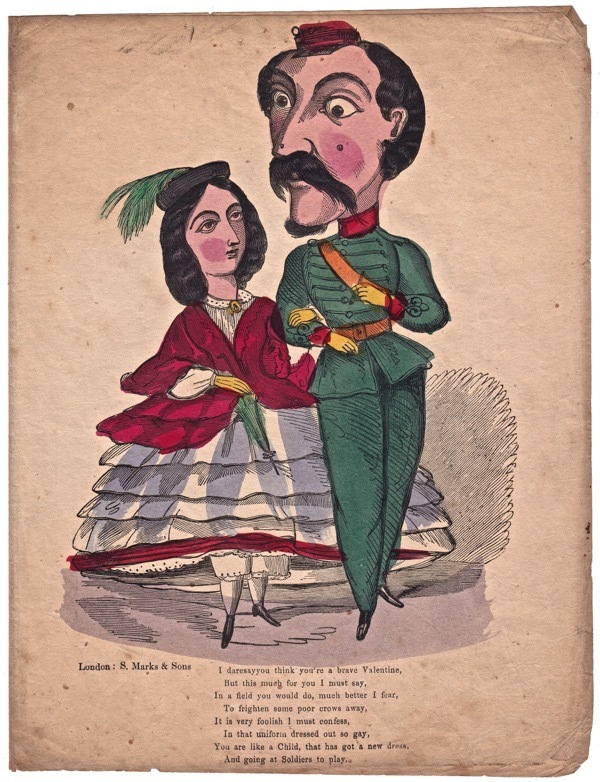 As Valentine’s Day approaches and readers are preparing their billets-doux, perhaps some might like to contemplate reviving the Victorian culture of Vinegar Valentines? 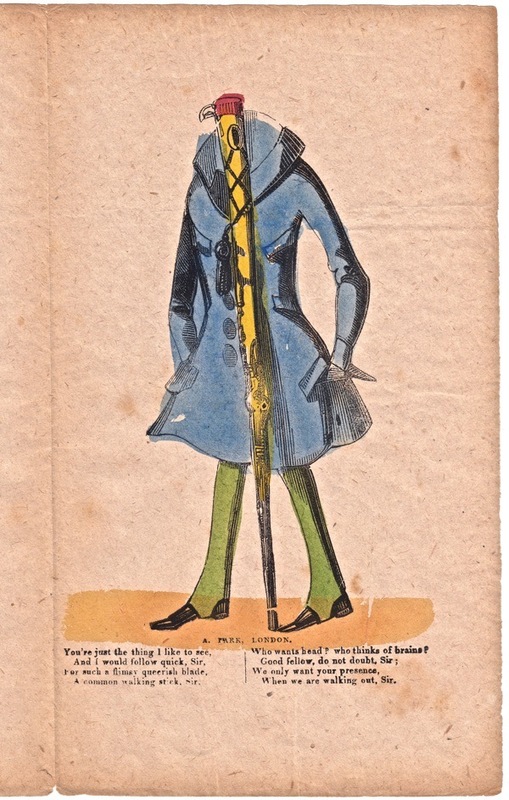 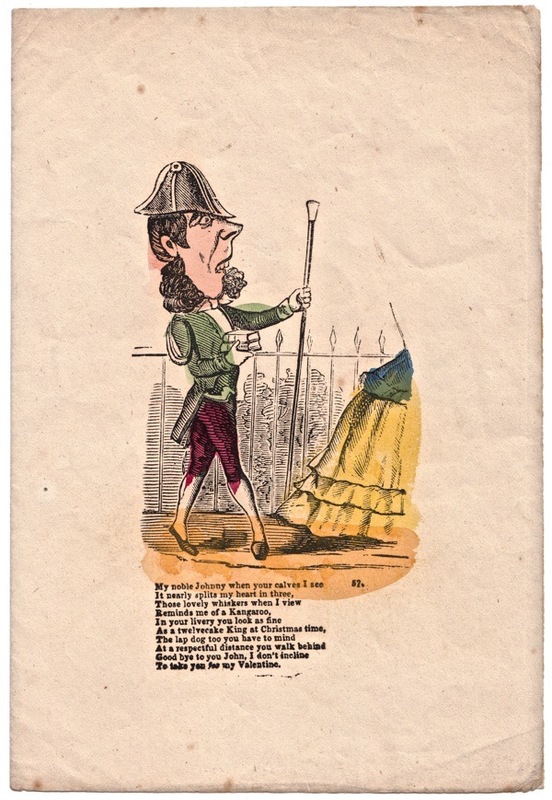 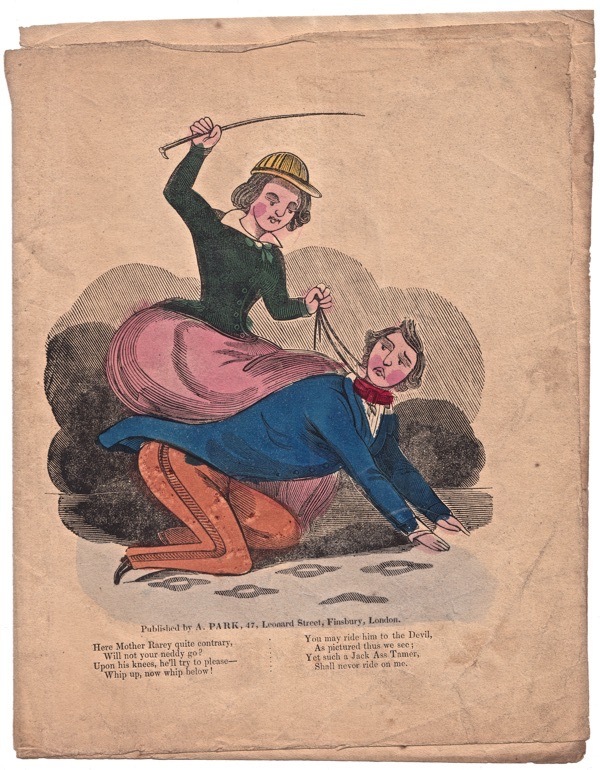 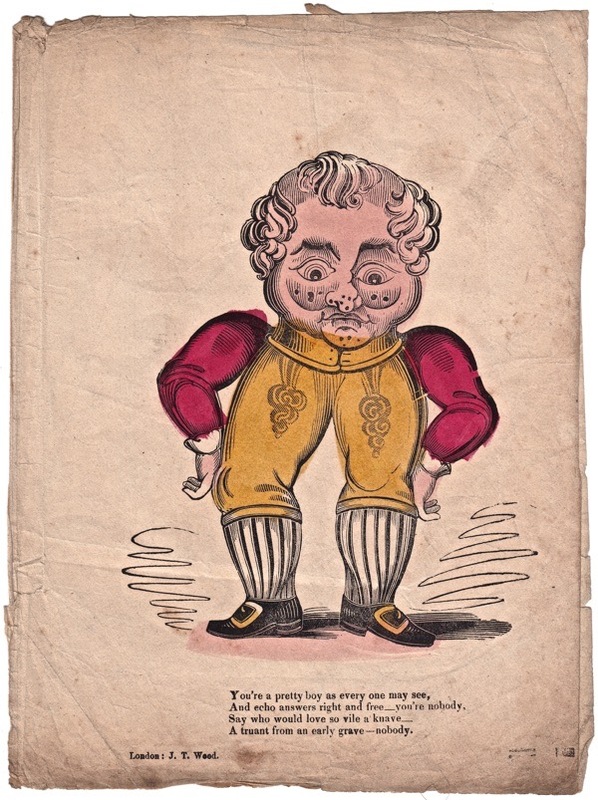 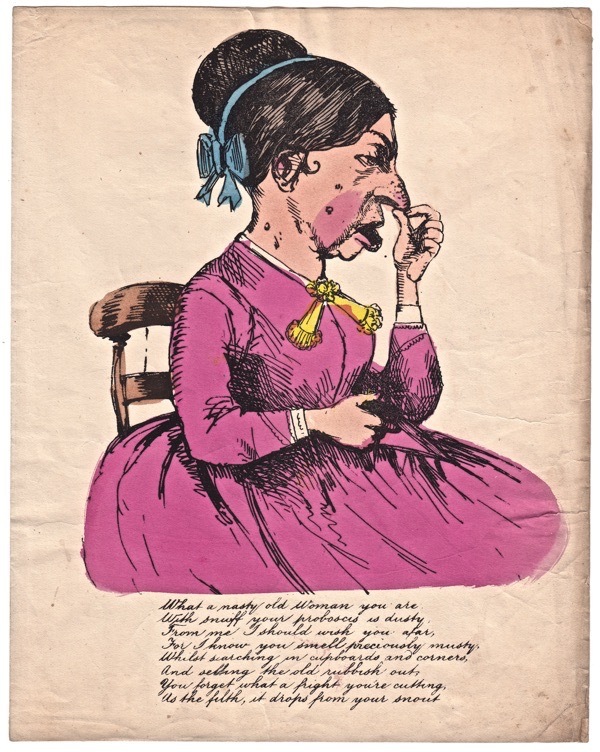 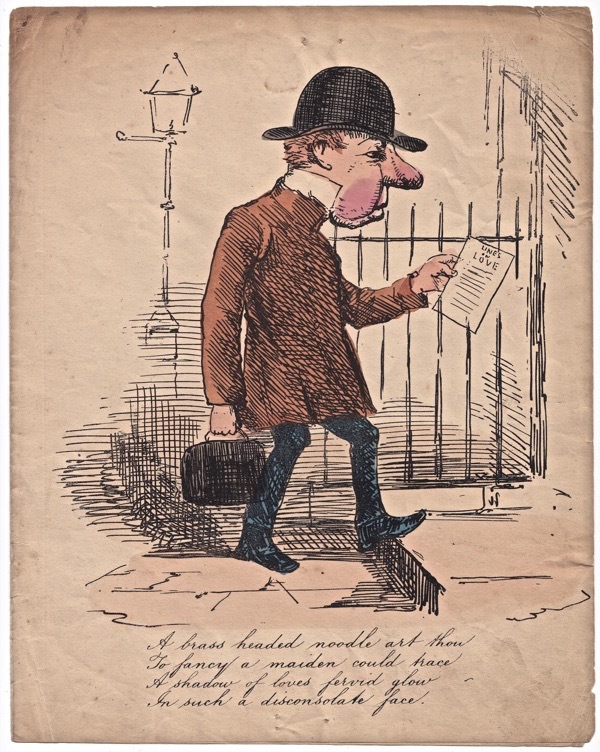 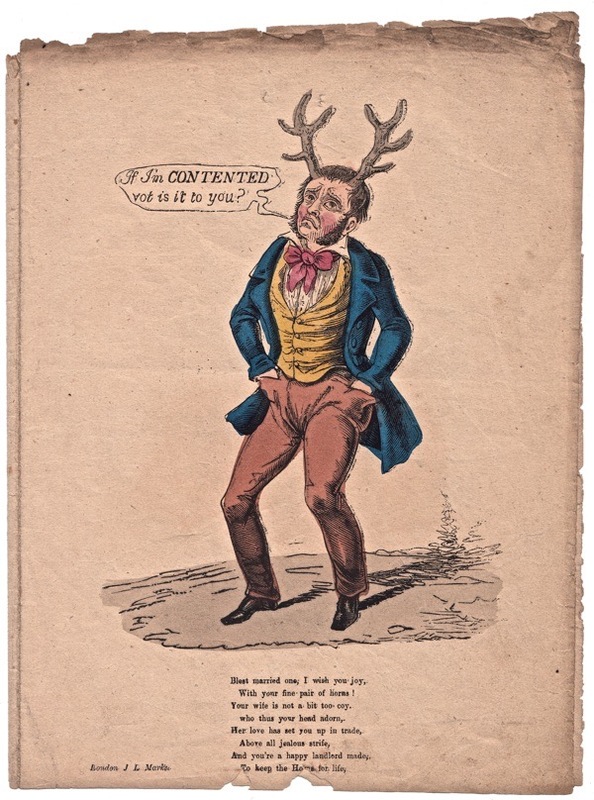 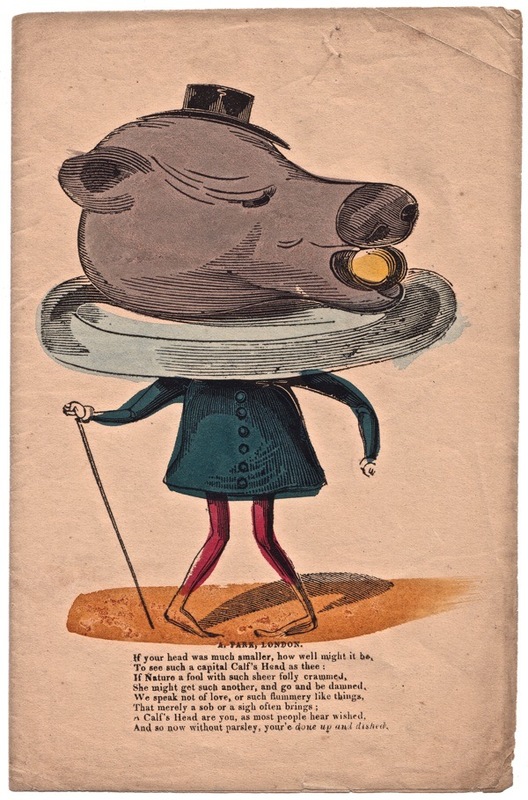 When I met inveterate collector Mike Henbrey last summer in the final months of his life, he showed me his cherished collection of these harshly-comic nineteenth century Valentines which he had been collecting for more than twenty years. 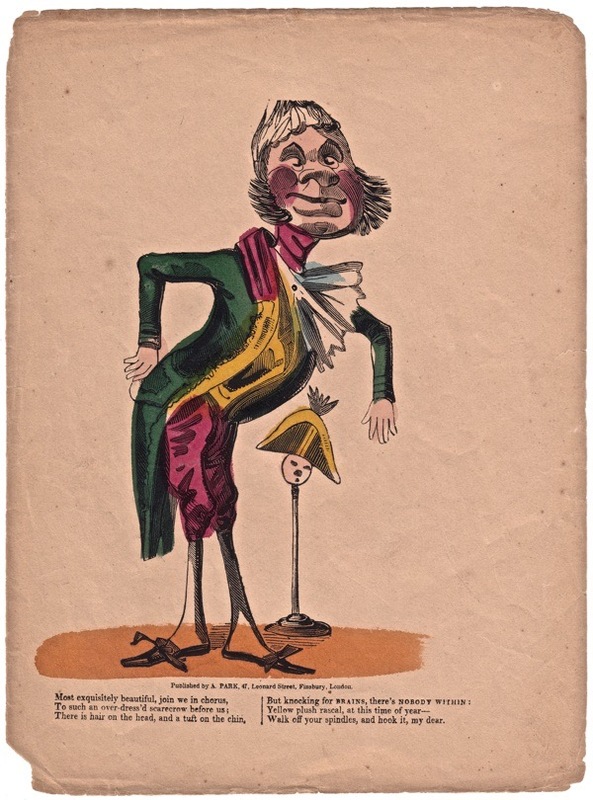 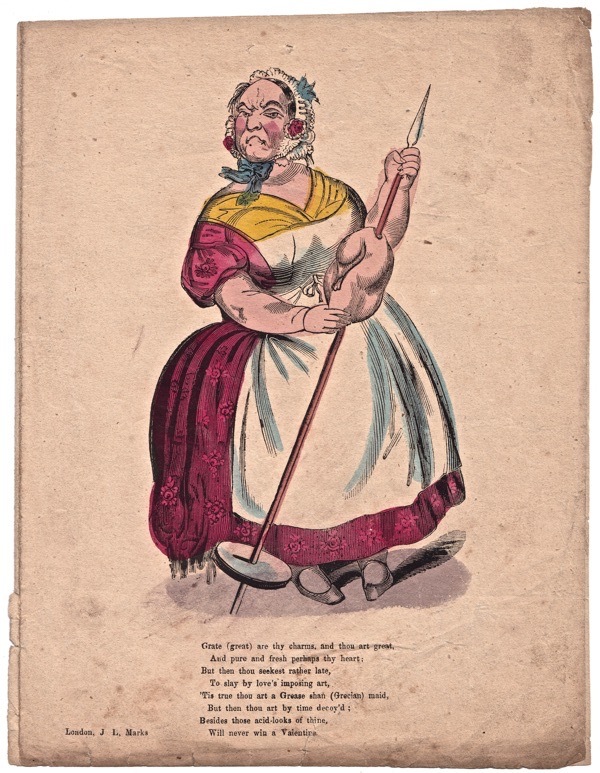 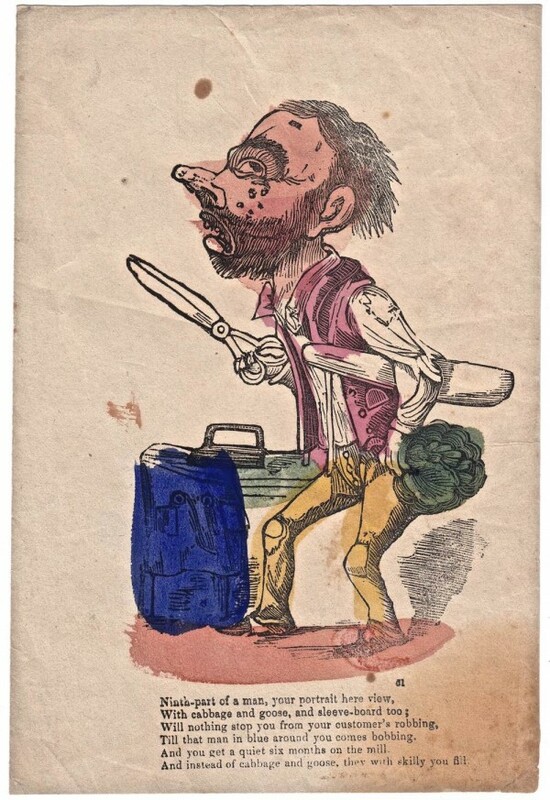 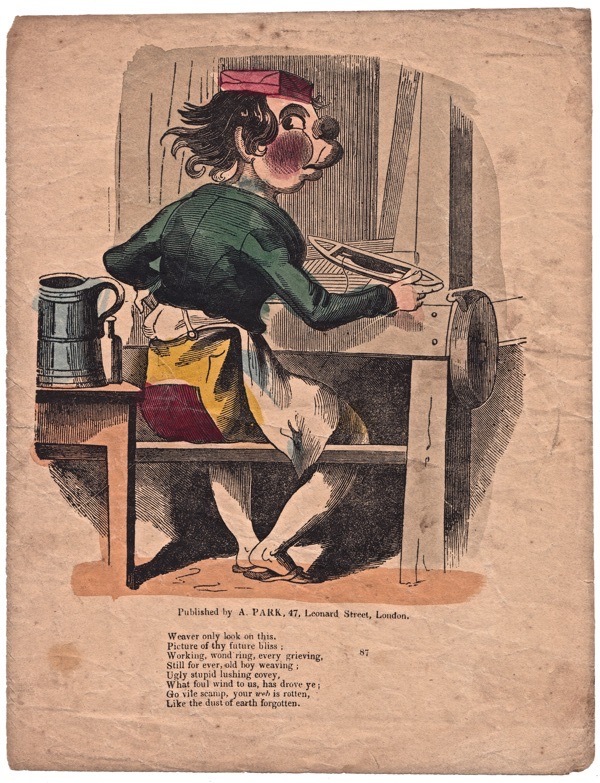 Mischievously exploiting the expectation of recipients on St Valentine’s Day, these grotesque insults couched in humorous style were sent to enemies and unwanted suitors, and to bad tradesmen by workmates and dissatisfied customers. 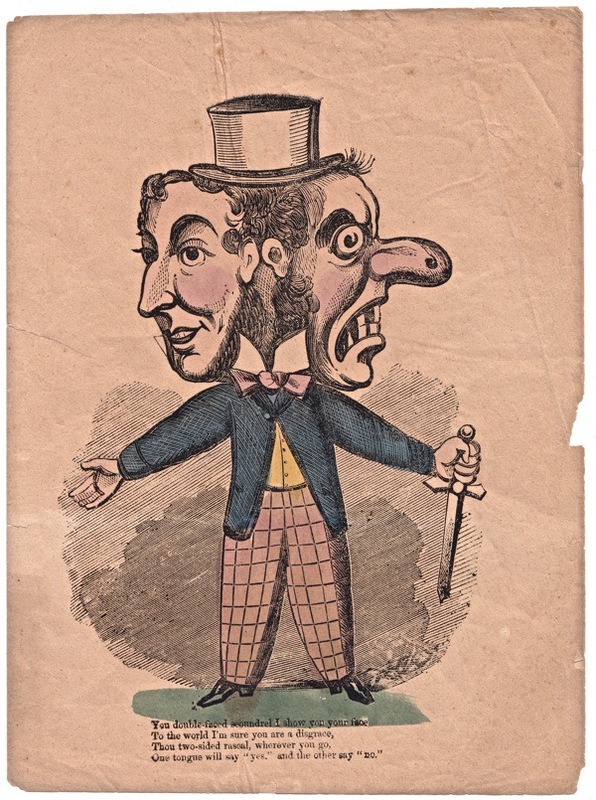 Unsurprisingly, very few have survived which makes them incredibly rare and renders Mike’s collection all the more astonishing. 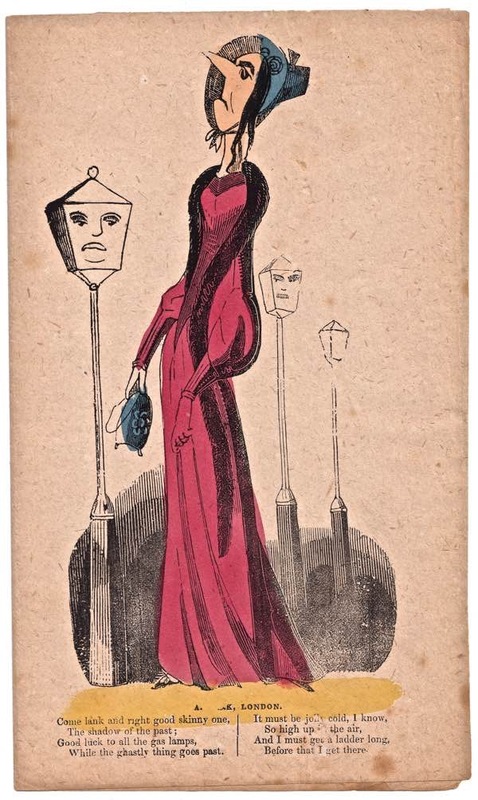 “I like them because they are nasty,” Mike admitted to me with a wicked grin, relishing the vigorous often surreal imagination manifest in this strange sub-culture of the Victorian age. 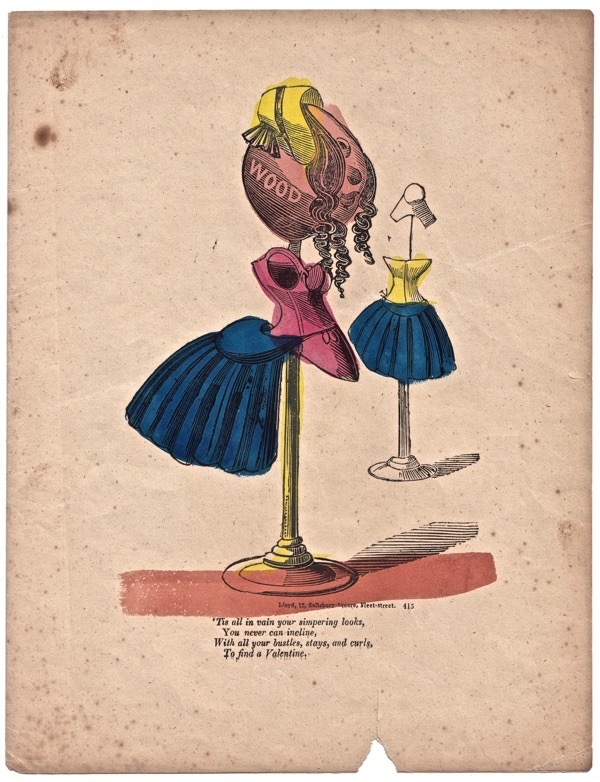 Mike Henbrey’s collection of Vinegar Valentines has now been acquired by Bishopsgate Institute, where they are preserved in the archive as a tribute to one man’s unlikely obsession. 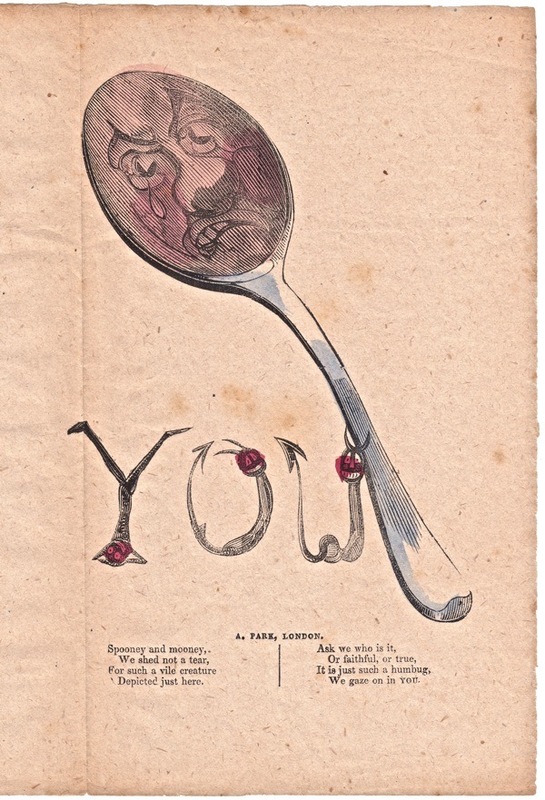 Really fantastic drawings, very imaginative! 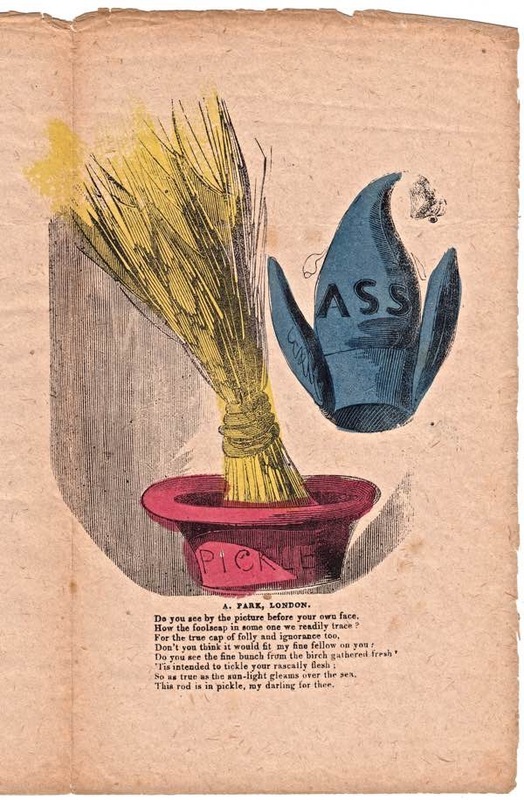 What a lovely gift for generations to come. 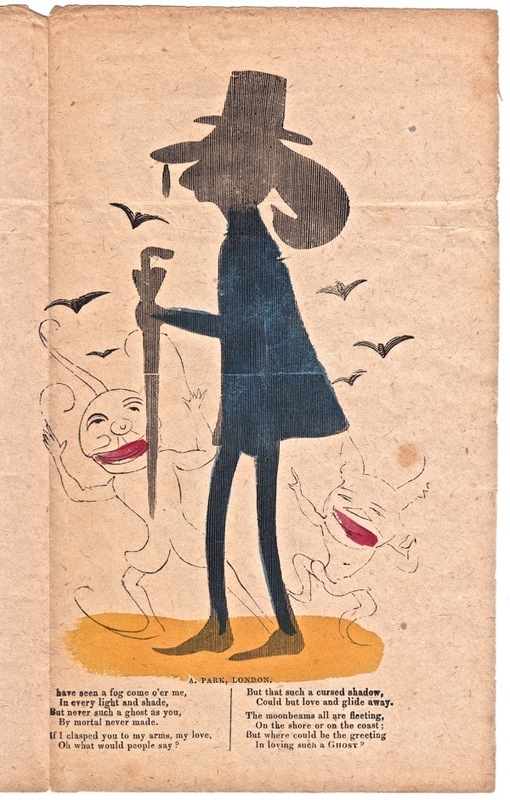 Thank you to the late Mr. Henbrey, to whom we would have sent a very un-vinegary valentine!! 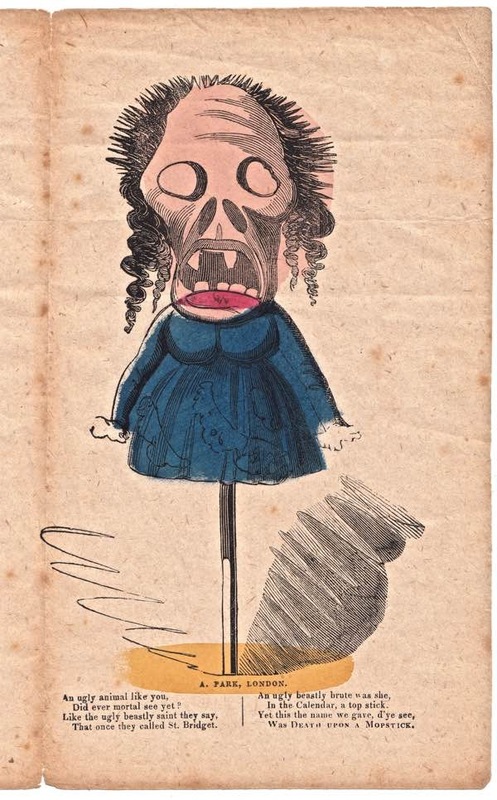 And people complain about online trolls today. 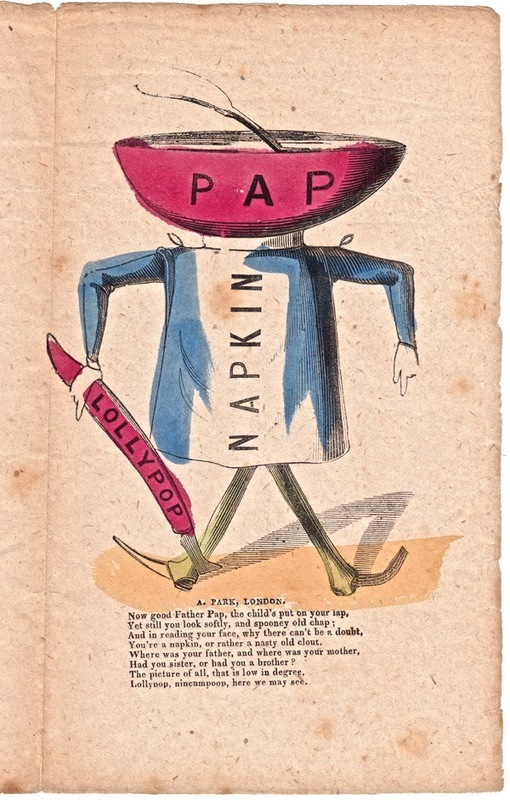 These, at least, are rather more imaginative, although equally crushing. 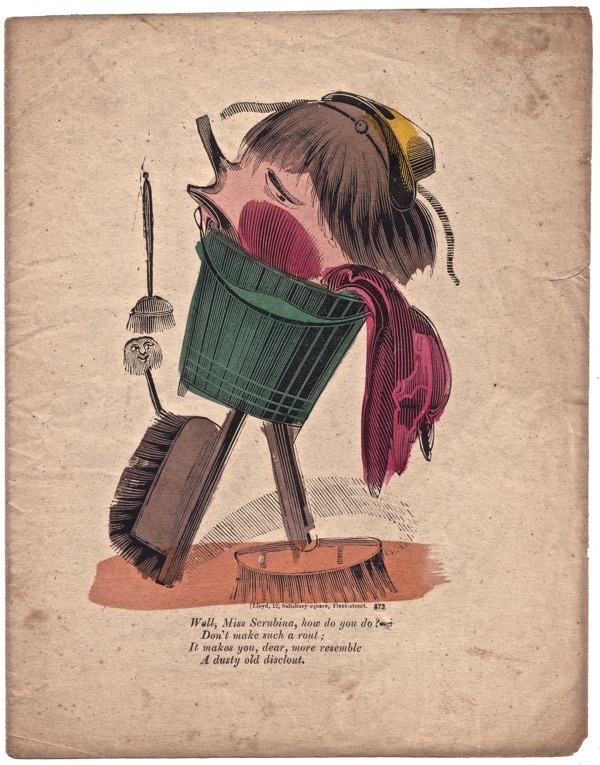 I shudder to think of the the reaction of anyone finding such a card on their doormat on February 14. 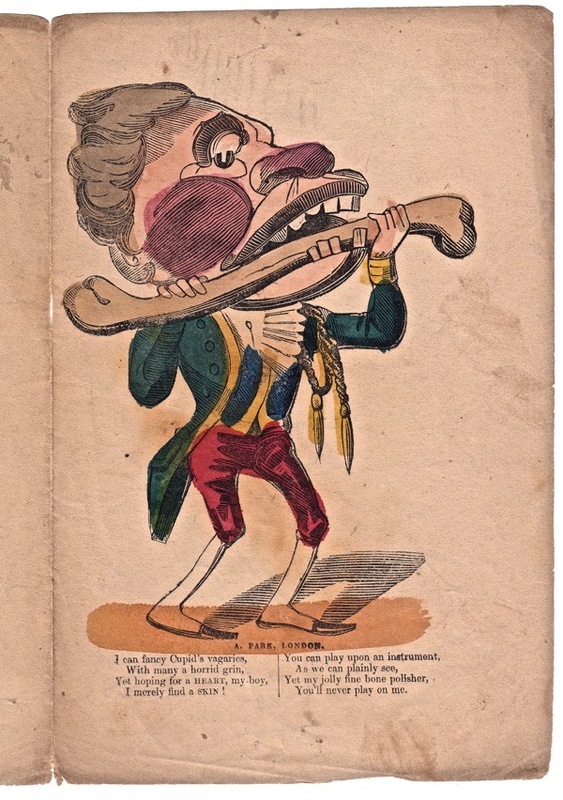 Mr Park of Finsbury must have been a remarkably cantankerous individual!